Anuraag Villa is a classy boutique hotel which serves you all the comforts of fine living within your financial plan. It offers you a pleasing experience of nice contented stay in Jaipur with a very strategic location as the hotel is close to bus stand, main railway station and even the walled city bazaar (city market) is in proximity. 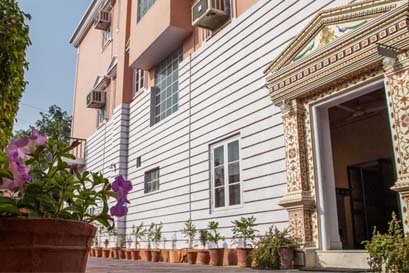 Anuraag Villa is among the best boutique hotels of Pink City since last 10 years as it presents high standard of hospitality along with all the modern facilities for a delightful stay. 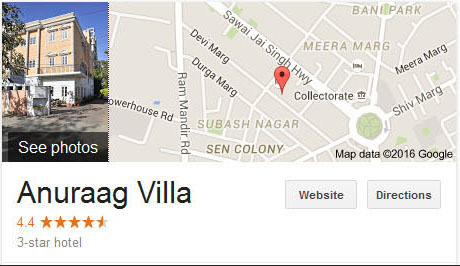 Anuraag Villa provides huge range of services and unparalleled amenities to the guests. Special emphasis is given to the well-planned and beautiful interiors of Anuraag Villa. The rooms are well-furnished, spacious and elegant with proper ventilation. 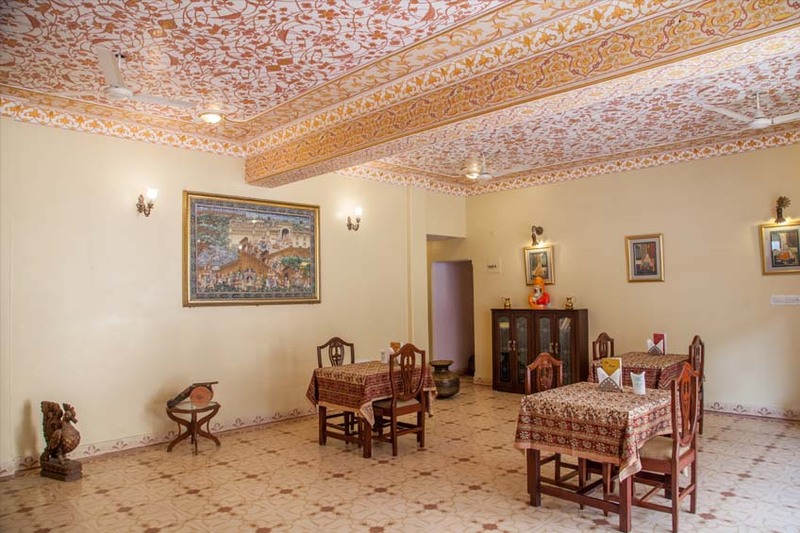 The walls and the ceiling of the rooms are painted and decorated marvelously with beautiful carving and Mughal style art work. The Hotel has an amazing garden Restaurant as well as an open kitchen, serving excellent local and regional Indian and Continental food. It is well sanitized, and clean as our initial aim is deliver hygiene along with the delicious palate to our genuine guests. Anuraag Villa is an excellent homely hotel. All guests in Anuraag Villa are warmly greeted as if they are a family. 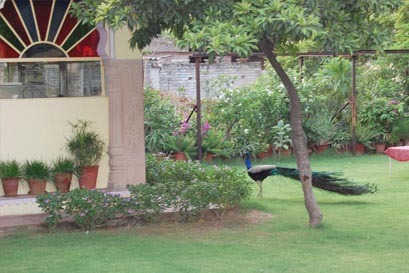 Here, Guests can rejuvenate in the lush green garden and enjoy the natural beauty with the soothing voice of peacocks and chirping of birds. At Anuraag Villa, experience refreshing service at its best! Anuraag Villa is now marking its presence in the Rajasthanâ€™s tourism map by offering world-class hospitality standards, combined with excellent ambience and quality service. The hotel is recommended by prominent travel, tourism and guide books. Take the pleasure of your visit to the Pink City, the capital of Rajasthan and plan your stay, in advance, at Anuraag Villa.